Exactly 3,300 children took part in Poole Libraries' Summer Reading Challenge making it the most successful ever. Pupils from Broadstone First School with Children's Champion Library Assistant, Sue Lawrence. Exactly 3,300 children took part in Poole Libraries’ Summer Reading Challenge making it the most successful ever. The success has largely been down to this year’s wonderful Roald Dahl theme, which was chosen by The Reading Agency, working alongside The Roald Dahl Literary Estate to celebrate the 100th anniversary of the author’s birth. The challenge featured some of Roald Dahl’s best-loved characters and the amazing artwork of his principal illustrator, Sir Quentin Blake. Starting back in July to coincide with the school summer holidays, all children up to the age of 11 were able to sign up to the Summer Reading Challenge at their local Poole Library. By reading six library books of their choice over the summer they could collect exclusive rewards along the way including special limited edition Quentin Blake collector cards, each celebrating a popular Dahl theme: mischief, invention, adventure, wordplay, child champions, and friendship.There were also stickers, BFG bookmarks, and for those fully completing the challenge by reading six books: medals, certificates, and an exclusive Poole Libraries chocolate bar. Those who completed the challenge were also eligible to take part in the exciting Charlie and the Chocolate Factory- inspired ‘Golden Ticket Competition’. In true Willy-Wonka fashion, some chocolate bars contained a special Golden Ticket, entitling lucky readers to a spot prize. Prizes won by dedicated readers included mugs, games, books, top-trump cards, and DVDs. Isla Rose, aged 6, who attends Poole Central Library was especially lucky, winning a superb limited edition Quentin Blake print. As well as personal readers, all schools in Poole also tally the amount of students that complete the challenge, and then compete for the Poole Libraries Summer Reading Challenge Schools Award for the highest number of participants. 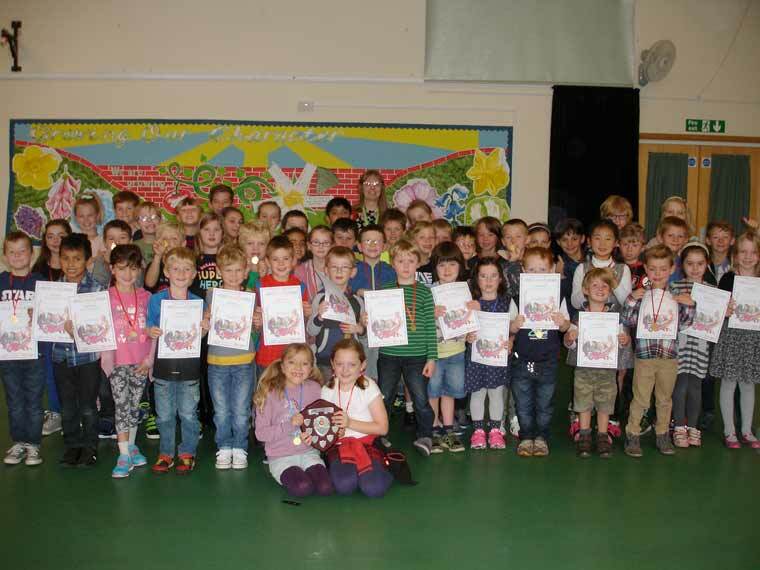 The winning school this year was Broadstone First, who received a special plaque. The Roald Dahl theme did not just stop with the Summer Reading Challenge. Children were able to enjoy a variety of fantastic, free Dahl-themed activities in all Poole libraries, including theatrical storytelling events, coding sessions, and a Stop Motion animation workshop. Plus there were lots of regular fun crafts, games, and quiz sessions.40 young Reading Hack volunteers, who gave their time and enthusiasm to help encourage children to take part in the summer challenge will be invited to a special Willy Wonka-themed film and celebration night, along with their families, on 24 November, to thank them for their hard work and dedication throughout the summer.